Deborah Aviles’s practice includes the supervision and trial of cases in all areas of defense litigation. In addition to handling claims against corporate defendants, her practice also involves the defense of physician and hospital malpractice, municipal and premises liability, construction and environmental litigation. Deborah is active in a variety of professional associations. She was a founding member, former officer, and Executive Board Member for the Alexander Hamilton Inns of Court for Suffolk County. 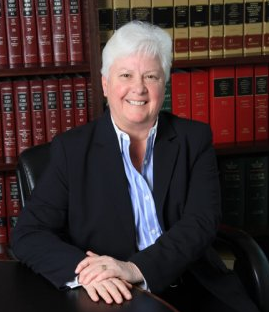 She is a member of the Suffolk County Bar Association, where she formerly chaired the Insurance Committee and was a member of the Judicial Screening Committee. Currently, she is a member of the Supreme Court Committee as well as the Bench/Bar Committee. She also serves as the Chair of the Independent Judicial Qualifications Commission for the 10th Judicial District. Deborah formerly served on the Board of Directors of the Nassau-Suffolk Trial Lawyers Association, the American Lung Association of Nassau/Suffolk Counties, and Long Island University, School of Paralegal Studies. She is rated “AV” by Martindale Hubbell. In 2009 she was recognized by Cambridge Who’s Who for demonstrating dedication, leadership and excellence in legal services. In 2010, Long Island Pulse Magazine rated Deborah a Top Legal Eagle in Suffolk and Nassau Counties for civil litigation. Deborah has given numerous lectures in both the public and private sectors on topics including: “New York Pattern Jury Instructions: Missing Witness/Missing Documents Charges,” 2004 Suffolk Academy of Law, Suffolk County Bar Association; “Trial Advocacy,” 2002 Suffolk Academy of Law; “Medical Malpractice Update,” 2002 Women’s Bar Association of Suffolk County; “Discovery 2000 – for Experienced Litigation,” 2000 New York State Bar Association; “Motor Vehicle Accidents,” 1998 New York State Bar Association; “Power Advocacy – Achieving Maximum Jury Impact During Trial,” 1993 New York State Bar Association; “Alternative Dispute Resolutions – Negotiation Techniques,” 1990 and “Civil Trial Skill Series,” 1993 Suffolk Academy of Law; and “Trial of Medical Malpractice Cases,” 1989 Suffolk County Women’s Bar Association. Deborah Aviles was admitted to the bar of New York State and to the United States District Court for the Eastern and Southern Districts of New York in 1982. In 1981, she received her Juris Doctor Degree from Howard University School of Law, where she was a member of the National Moot Court. In 1977, she was awarded a Bachelor of Arts Degree in Political Science from State University of New York at Stony Brook.